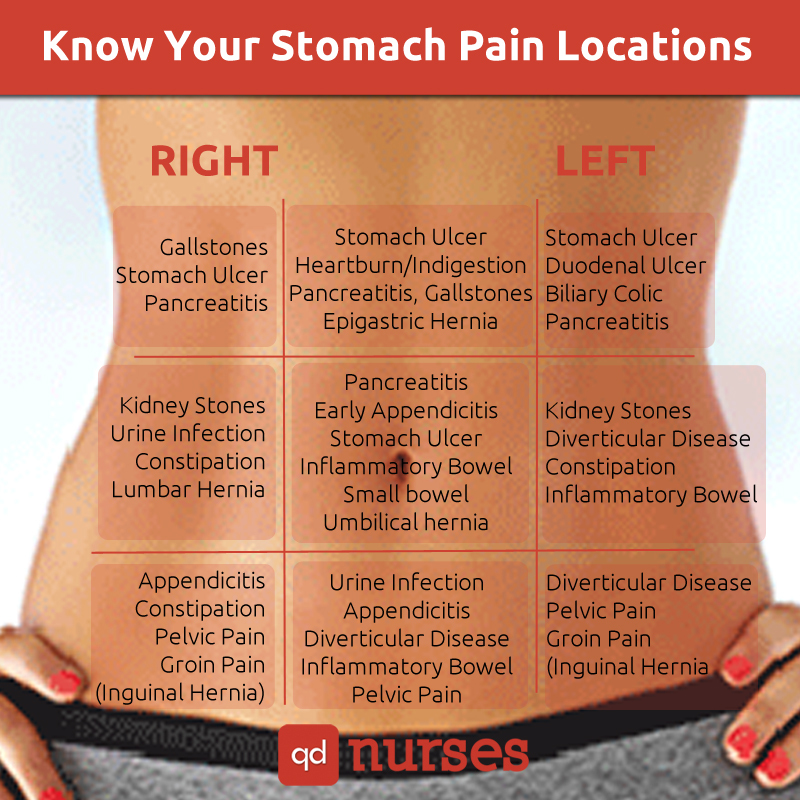 It is so important to ask the patient where the stomach pain is located. Do not assume when the patient says that he/she has stomach pain that it is generalized pain in the stomach. The location of the stomach can provide an answer. Do not forget that it is the nurse’s job to assess the patient!